This theme was posted by PS3 Themes on October 24, 2017 at 4:51 pm, and is filed under Comics/Anime, Dynamic Themes. @ADMIN You gave WRONG CREDITS about the Creator!!! I am the Original Creator Iron Dante.. Fix This!! You’re welcome, thanks for downloading! 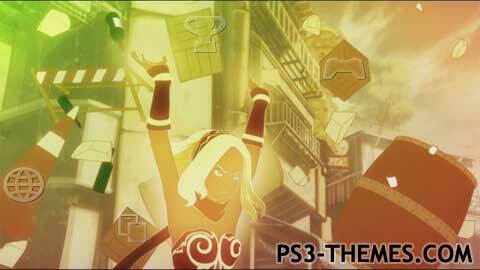 Gravity rush is my favourite game! Nice theme! !